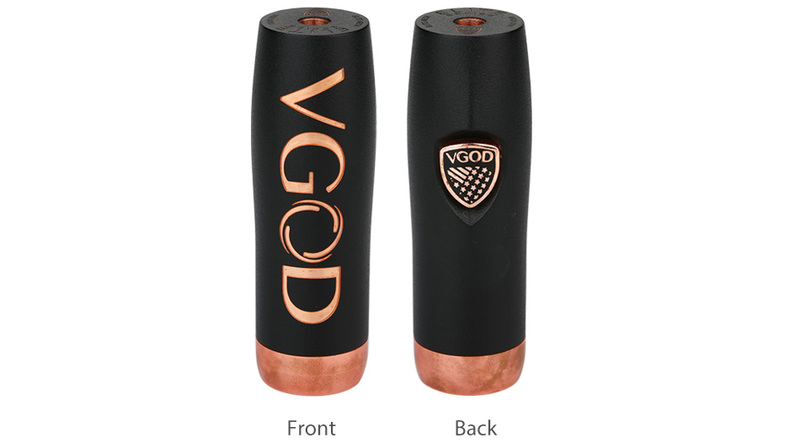 Prominently featuring its emboldened VGOD Flag Crest design, the Elite Mech Mod, by VGOD, offers unparalleled presence and style that is only matched by its performance and durability. 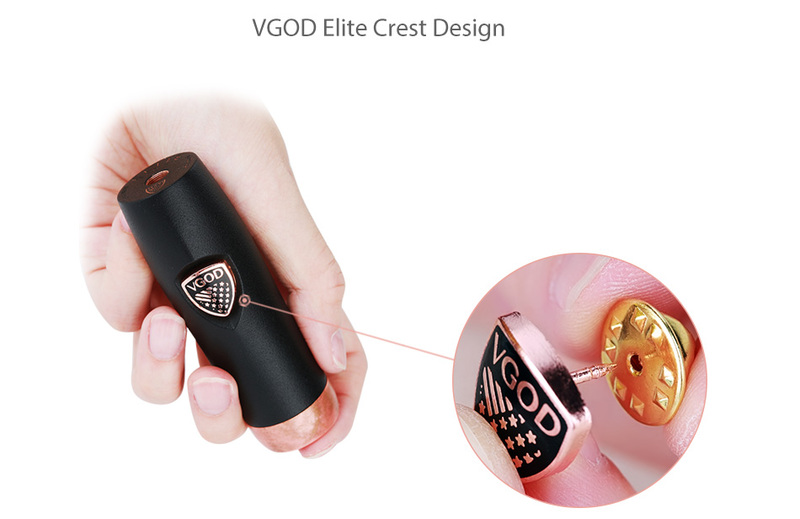 The elegantly designed mechanical mod features a “flare grip” chassis with hard hitting copper construction. 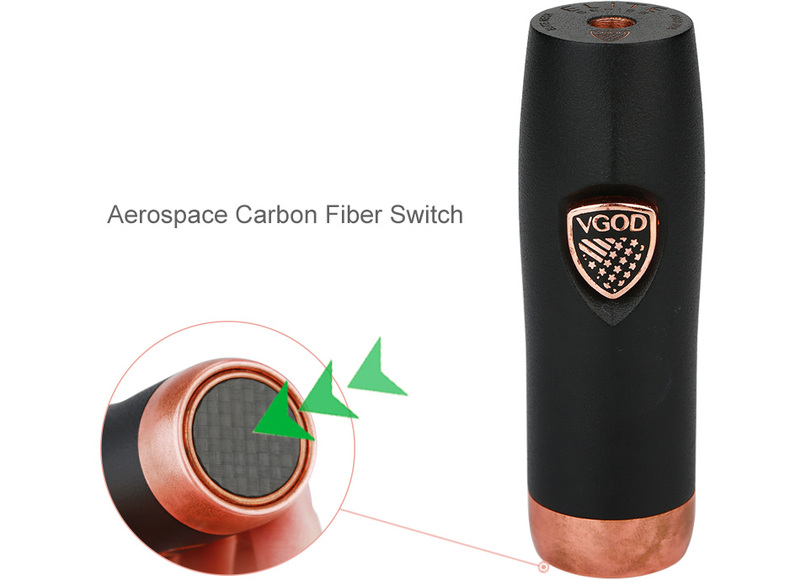 A 510 hybrid connection, copper contact, along with a copper framed aerospace grade carbon fiber switch, ensure you get the maximum voltage performance and look good while doing it. 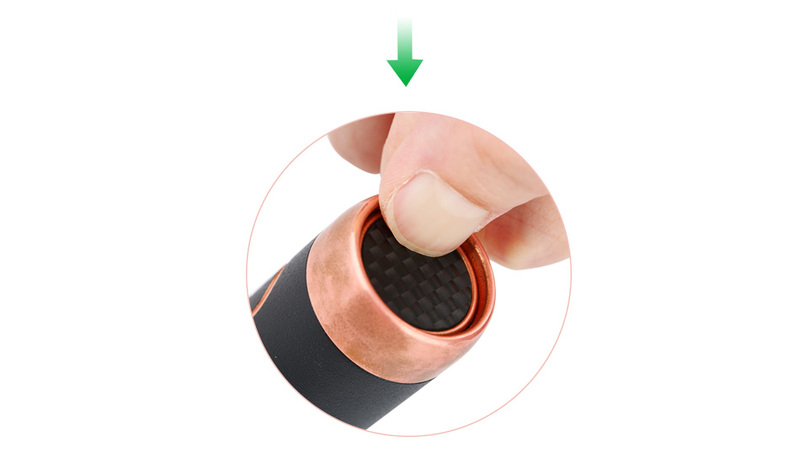 NOT for starters. 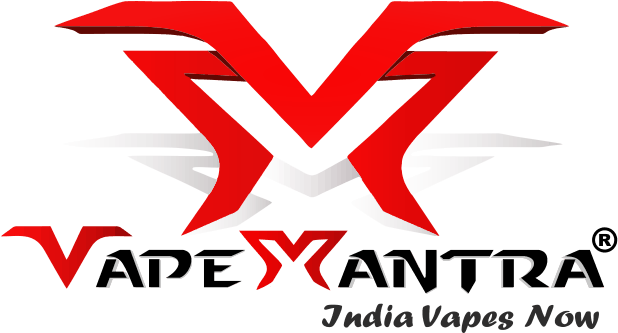 MECH MOD is for advanced users only. 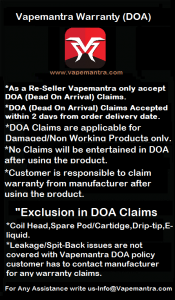 Don’t use subohm tank with coils rated under 100W. 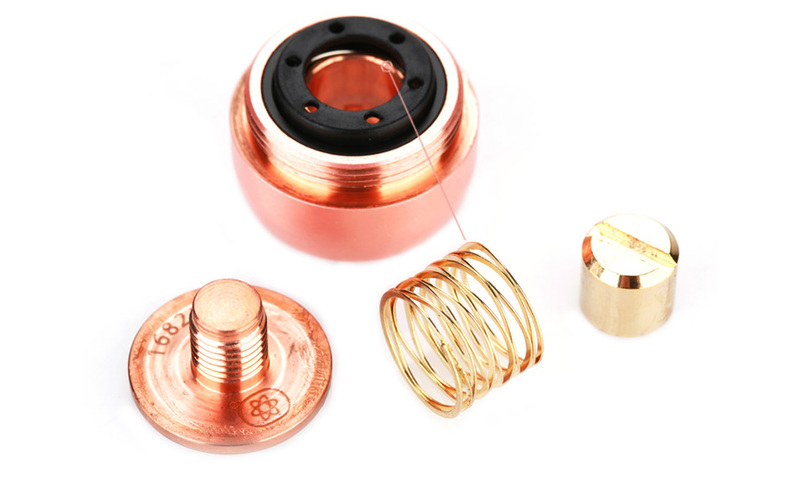 Don’t use coils under 0.2ohm.